The Troy Interlocking Urethane Plate Sets GO-U are the heavyweight of our lineup. These polyurethane coated “Quiet Iron® EZ-lift” grip plates are less porous than rubber making them virtually indestructible, odor resistant and maintenance free. Our patented interlocking feature facilitates easier lifting and loading from any position allowing the user to safely load more plates onto machines and bars. 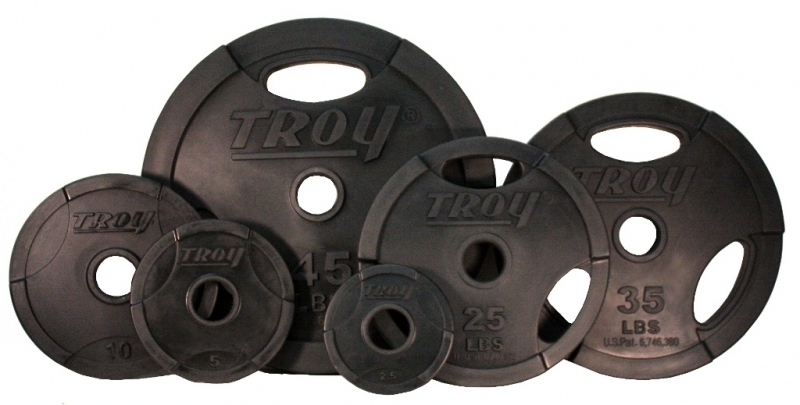 These Olympic plates maintain a 2% accuracy level consistent with all of our TROY commercial plates. Troy's Interlocking Grip Olympic Plates GO-U-400 use a gray hammertone baked on finish to help resist rust and corrosion. 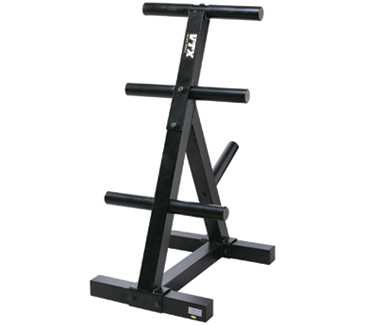 The Troy's Interlocking Grip Olympic Plates GO-U-400 is perfect for high school, college, personal training studios or commercial gym use! 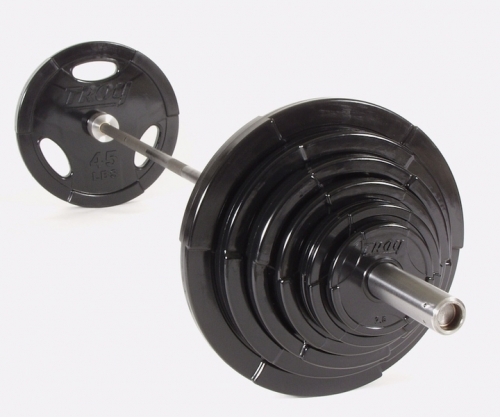 Order your Troy Interlocking Urethane Plate Set GO-U-400 from FitnessZone.com today!